5 Reel, 20 Payline non progressive video slot with Stacked Wild Symbols, Scatter Symbols and an Action Free Spins Bonus round. Coins range from 0.1 up to 5.00 per pay line, wager 1 up to 5 coins per payline bet. The minimum bet amount is 0.1, the maximum bet amount is 1 250 per spin. The Elvis stacked Wild symbol replaces other symbols to complete winning combinations. On each reel there are Stacks of 4 or more Elvis wild symbols which can line up to trigger many simultaneous wins! The Elvis Stacked Wild does not substitute for the Elvis Bonus Scatter symbol and does not trigger Action Free Spin Bonus game. 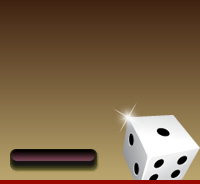 Accumulate 5 Wild symbols across any given payline to win the top Jackpot of 1 000 coins. The Elvis Bonus Scatter does not need to appear in a line on an enabled payline to win. The Scatter symbols only appear on Reels 2, 3, and 4 and can activate the Action Free Spin Bonus game. 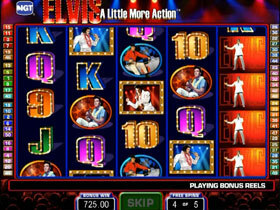 3 Elvis Bonus Scatter symbols appearing anywhere on Reels 2, 3 and 4 simultaneously will activate the Action Free Spin Bonus game. During the Free Spins the 5 reels contain even more Stacked Wilds and Scatter symbols. The Action Free Spin Bonus starts off with 5 Free Spins. Get 3 Elvis Bonus Scatter symbols during the Free Spins to be awarded an additional 5 Free Spins which can also be re-triggered. The maximum amount of Free Spins during any Action Free Spin Bonus game is set to 255. A Classic IGT Slot Game with Diamonds, Wilds and Multipliers. A 720 Way Multiplay Slot from IGT which offers Free Spins and Stacked Wild Symbols. Free Spins can be retriggered up to a total of 240 Spins..
5 or more Paw Print Scatters anywhere on reels 2, 3, 4 will activate the Free Spins Bonus Round. The More Paws you get the more Free Spins you get.